First, an admission. Actually, two. As a rule, I find small museums and galleries far more satisfying and interesting than the mega institutions with their overwhelming galleries and blockbuster shows. By small museums and galleries, I mean the Portrait Gallery and Old Parliament House in Canberra, the Grainger Museum and the Ian Potter Museum of Art and Museum of Modern Oddities in Melbourne, the Justice and Police Museum in Sydney, the Museum of Innocence in Istanbul, the Frick Collection in New York, the Cavafy Museum in Alexandria. Even a history ‘room’ of a winery has its attractions. Second: I love everything about CMAG, the Canberra Museum and Art Gallery. Even its setting grabs the attention. It is located in the North Building which forms one side of Canberra’s Civic Square, adjacent to the Canberra Theatre complex, a branch of Libraries A.C.T., and the A.C.T. Legislative Assembly. The square, designed by Yuncken Freeman, has a large Tom Bass sculpture, ‘Ethos’, and, depending on the time of year, one may find a Spiegeltent, a fundraising light show, food markets and the reality check of people living rough, carrying their worldly possessions in a shopping trolley. In its actual building CMAG has some interesting neighbours too. They include a Craft A.C.T. gallery and shop and the Theo Notaras Multicultural Centre, location of more than 30 cultural groups and a once highly controversial life-size statue of Al Grassby. The North Building is also home to the A.C.T. Electoral Commission, whose side window displays a huge reproduction of a Geoff Pryor cartoon in the form of a composite how-to-vote card for the inaugural 1989 A.C.T. Legislative Assembly election. Such nostalgia triggers: the Sun-Ripened Warm Tomato Party; the No Self-Government Party; the Party! Party! Party! Although CMAG manages, on behalf of the Commonwealth, a large collection of works by Sir Sidney Nolan donated to the people of Australia in 1974, it doesn’t pretend to match Canberra’s premier cultural institutions in gallery space, funding or physical prominence. What this boutique hybrid does do so well is present unpretentious exhibitions, often from unexpected perspectives and themes. Two recent personal favourites were A to Z: Robert Messenger’s Typewriters (2012) and Elioth Gruner: The Texture of Light (2014). The typewriters exhibition was an example of CMAG’s practice of offering its Open Collections Gallery to individuals and organisations to present their own collections. At the moment Canberra collector Timothy Kirsopp has it filled with his Dr Who memorabilia. For its current feature exhibition, Peace, Love and World War: The Denmans, Empire and Australia, 1910-1917, CMAG invited Dr David Headon to be its guest curator. 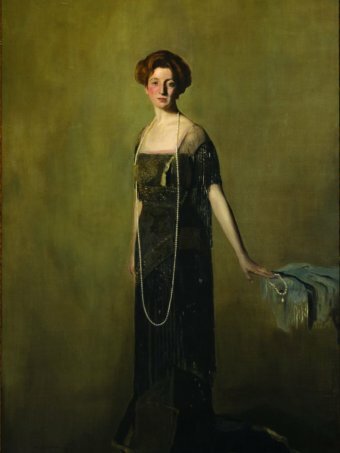 In both curator and topic CMAG made astute choices: Headon has a strong background in Canberra history and cultural administration, including its centenary; the exhibition focus combines local relevance (given it was Lady Denman who famously gave the city’s name its official pronunciation) with national and imperial associations and events, not least the Great War. The 1910-17 coverage takes in the period Denman was Governor General, 1911-14, and the immediate aftermath up to 1917, here and in Europe. At first glance odd, the extended time span works. By overlapping Denman’s term, the exhibition allows itself to begin with Andrew Fisher’s highly successful second term as Labor prime minister (1910-13), which saw over 100 Acts passed, covering defence, constitutional matters, finance, transport, communications, and social security. Perhaps unexpectedly – given differences in class and presumed mental outlook – Denman got on very well with Fisher and his leading ministers, including Pearce, Hughes and O’Malley, and less so with Fisher’s non-Labor successor Joseph Cook (1913-14). By taking in some post-1914 years, including the first years of World War I, Headon helps us to learn what these gentlemen, and ex-PM and then High Commissioner in London, George Reid, did next. So much took root during Denman’s term: Canberra was established, work on the trans-Australian railway commenced, and Australia House in London was opened, confirming beyond doubt that the mode of interaction with the UK was changing. Ominously, too, Denman did the honours at the opening of the Royal Australian Naval College, the Royal Military College (Duntroon) and Lithgow’s arms factory. Through the usual mix of museum art, library and archive objects, and documents, some from private sources and most never before seen, the exhibition easily does enough to help get past any antipathy to things imperial and vice regal. One quickly realises these were Australia’s pivotal years of aspiration and nation building yet below the surface they were blind to issues of race, divided over the States’ sense of sovereignty though sharing smaller jealousies. Acceptance of the federal capital being somewhere other than Sydney or Melbourne still irked some, but the cause célèbre at the time was who would pay for the Governor-General’s accommodation. This issue came to a head during Denman’s term, resulting in his eviction from Government House in Sydney, hilarious in retrospect but a sensation at the time. Trudie was no shrinking violet … One of the first women in Britain to obtain a car licence and a heavy smoker (dismaying many toffy Australian attendees of Vice-Regal functions), she was a capable rider, keen golfer and gifted tennis player. She also had a genuine love of the arts and sense of community service, both of which she could act upon in Australia. Her personal support benefited groups as diverse as the Try Society charity, the Burnside Presbyterian Homes, the Melbourne Women’s Hospital, young women in public and Catholic schools, a number of orphanages, and even lost dogs in Melbourne, for which she established a shelter for the first time. She took a particular interest in extending the work of her predecessor, Lady Dudley, who began the Victorian Bush Nursing Association. This “hands-on” work by Lady Denman (praised by the 52 women’s organisations of the Victorian National Council of Women), took her to many country areas. She was a natural for this work outdoors. What makes Trudie more human still, her marriage was a poor match and privately never a happy one, yet even in Australia she and her husband officially were a great success. 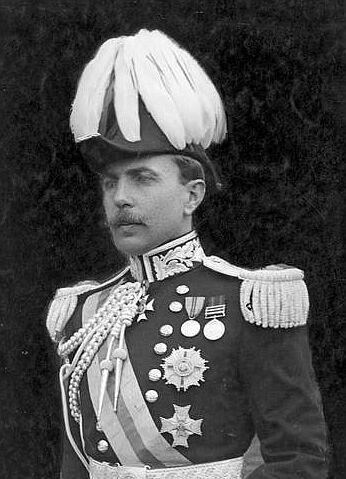 Chris Cunneen in his 1983 book, Kings’ Men, hinted at an unnamed member of her husband’s staff who ‘admired her and was interested in her’; in 2013 Headon wrote that the anecdotal evidence for an affair was strong and he named the other party as Lord Denman’s Aide-de-Camp, Sir Walter Barttelot. 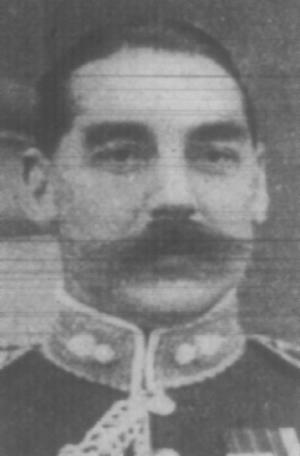 Research for the exhibition changed Barttelot to Denman’s Military Secretary Major J. Arnold Quilter and friendship to ‘a passionate love affair’. This passion continued after the Denmans returned to the UK, where they lived separately, dying two months apart in 1954. Quilter was killed in action at Krythia on 6 May 1915; Trudie was inconsolable, only the previous day having filed for divorce. The interactions between these notable individuals, their values and priorities, tell us a great deal about a period in Australian (and Imperial) history and cultural life that needs to be better understood. The Australian War Memorial’s recent promotional assertions to be the national institution that tells ‘the Australian story’ and represents the soul of the nation must be contested. Such lofty claims diminish many of the elusive truths of our past. Though this statement is pure Honest History, some would think that is decidedly not an ‘appropriate’ or ‘smart’ thing to say. One wonders if the big national cultural institutions would have allowed such a well-observed and pointed rebuke to the War Memorial to stand in one of their published exhibition catalogues – and what would have been the reaction from the Memorial if they had. It is to the credit of CMAG’s Director Shane Breynard, and to Headon himself, that we can read this statement here. * Michael Piggott is Honest History’s Treasurer and holds a number of other positions in Canberra. He has written often for the Honest History website. The Honest History book (due out in April 2017) includes a chapter from Michael on how Charles Bean has been used during the 75 years’ history of the Australian War Memorial. The CMAG curator, Shane Breynard, writes about the exhibition. Louise Maher writes for the ABC. This book looks at Australia in 1913. A new Canberra suburb, Denman Prospect, is growing in the Molonglo division of the city.